The SISS webpage you are looking for has been removed, had its name changed, or is currently unavailable. You can search for any keyword using the magnifying glass icon along the top navigation or by visiting our Search page. If you need to speak with an SISS staff, visit our People Directory or Contact Us page. 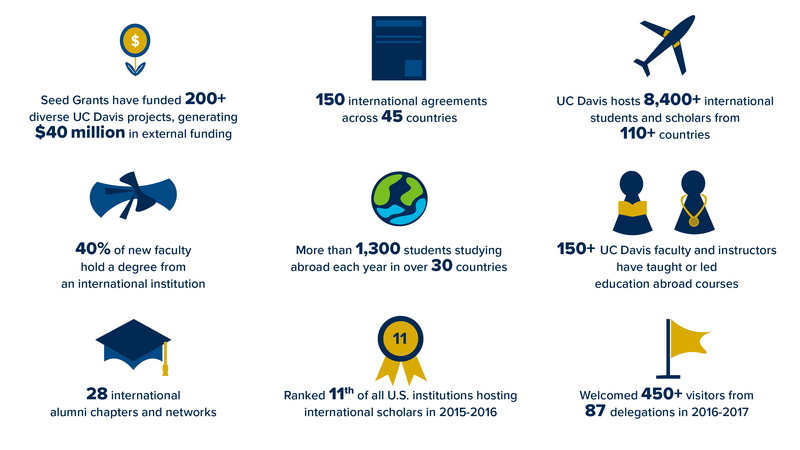 SISS, a part of Global Affairs, brings the world to UC Davis, welcoming more than 10,000 international students, scholars and leaders from over 140 countries and hosting programs that inspire global curiosity, understanding and engagement.